Ingram Computer Services loves Apple Computers. 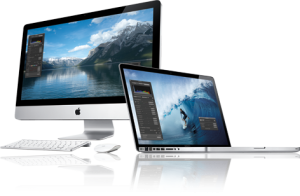 There is no need to travel to Nashville to have your Apple Mac repaired. 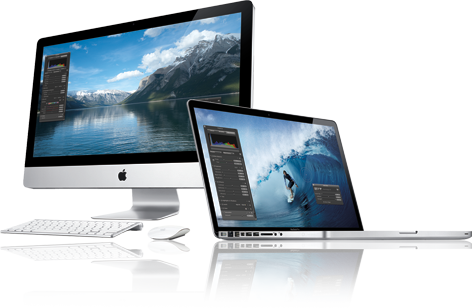 We are very familiar with all things Mac. Best of all, we will diagnose it for free when you bring it to our office. Many computer shops seem to fear Apple computer. Our technicians are familiar with more than just Windows computers. We use a lot of Linux in the office and our personal stuff. Mac OS is based off FreeBSD which is another Unix variant. So we are more than comfortable working behind the scenes to solve the most confusing problems. Very courteous and very speedy on their diagnosis. Work done on my computer was great couldn't asked for better people. Kalea T.
Great as always thanks very much Lacey K.
Matt has been our IT support person for many years now. I can't imagine what I would do without him! He is knowledgeable, honest, pleasant, and takes care of us in a timely manner. I would recommend him to anyone. Kathy M.
Everything is still working just fine. I will be back anytime I need help or work done on any of my laptops Beecher S.
They did an outstanding job in a very short time. Any of our computers that break down will go to Ingram for repair. John E.